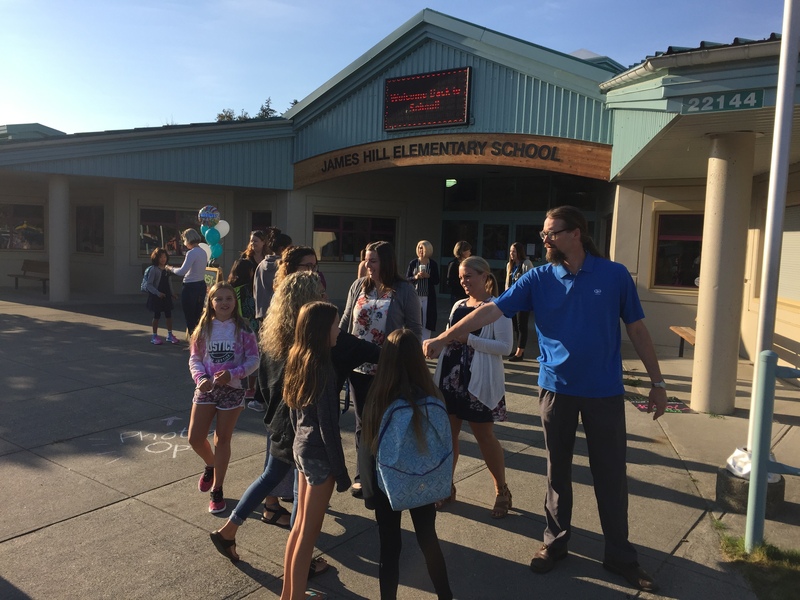 Welcome back to school, James Hill Elementary Families! First of all, I would like to thank you for the warm welcome to James Hill! It has been a true pleasure to meet so many of you in the front entry, the hallways or outside in the playground. It is clear to me that James Hill Elementary is a wonderful community with caring families and staff! I am excited to be here! Monday, Sept. 10: your child can be dropped off and picked up at their temporary homeroom (the same classroom they attended Sept. 5-7). 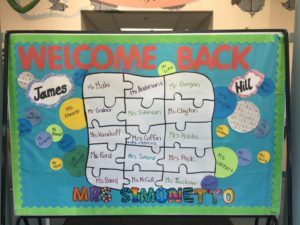 Your child will receive a NEW coloured slip of paper during the day Monday that will indicate their permanent classroom number and teacher’s name. Students will be dismissed at 2:45 from their temporary classrooms on Monday. Tuesday, Sept. 11: Students will be dropped off and picked up from their permanent classrooms for the year (as indicated on the slip of paper handed to your child Monday). 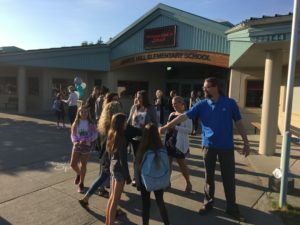 This first week of school was full of reconnecting, community-building and creative thinking! There were students engaged in collaborative projects, team games in the gym, iMovie creations on the iPads and much, much more! 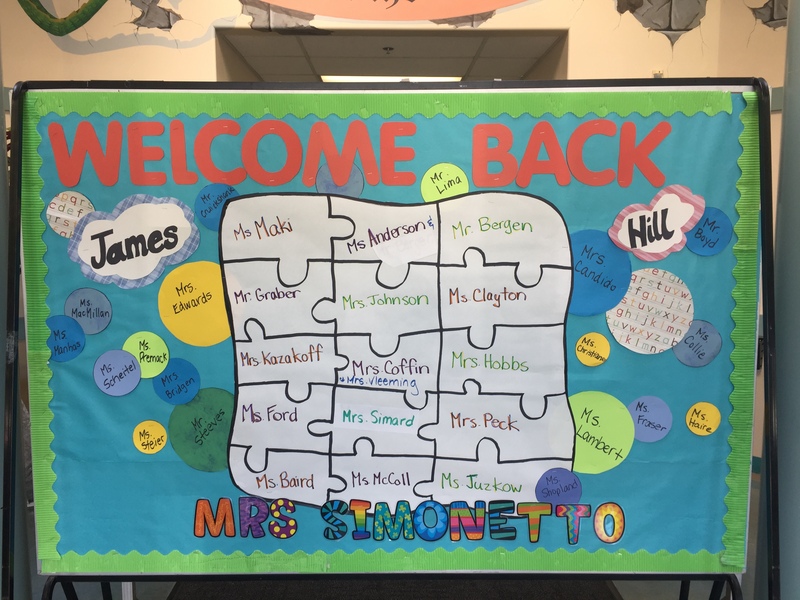 We appreciate all the time and effort our staff puts in to making this first week a smooth transition for students to return to school! 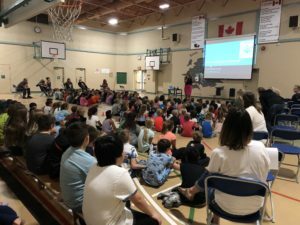 On Wednesday, we had our Welcome Back Assembly for all the students. This was a great chance to highlight our James Hill Elementary’s Core Values: Care, Dedication, Creativity and Excellence. The students were tremendous leaders as they came together in the gymnasium. During this assembly we reviewed some safety guidelines for outside play. Kindergarten Playdate! On Saturday, September 8, the PAC is inviting all new kindergarten students to join us for a playdate. Come to the school from 11:00 am-noon to get to know some new friends and meet other families! If it rains, the playdate will be held in the gym. Breakfast Club Starts Monday, September 10! Come join us for a delicious and nutritious breakfast each morning. Doors open at 8:00 am and food is served until 8:30 am. Parents are welcome, please be advised that children need to be supervised until 8:15 am. The Breakfast Club is in desperate need of a freezer- if anyone has an extra one that they do not need, please contact Marg at gmdeibert@shaw.ca. Fall is coming! We believe that outside play is very important for our children’s physical, emotional and social well-being. As we say goodbye to summer and enter these cooler months, we do ask that parents send children to school prepared for the weather. 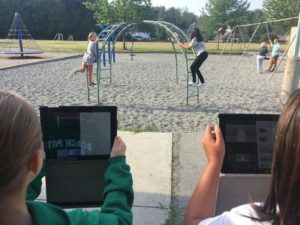 Therefore, we hope to be outside as much as possible for recess and lunch playtime. We will head outside if it is raining lightly, so please ensure your child has appropriate footwear and a jacket. PAC Reminders: The Annual Corn Roast/Meet the Teacher Night is on Thursday, Sept. 20! 5:00-6:00pm dinner; 6:00-7:00pm meet the teacher. Forms and Sign up will be coming out the next week. There is a PAC meeting Monday, September 10 at 6:45 in the library! Come join the fun… it’s the parent volunteers that help make James Hill Elementary such an amazing place for our kids! Volunteer opportunity information is coming home today with your child. Have a wonderful weekend and we look forward to our first full week in our official classes.